Hey everyone! 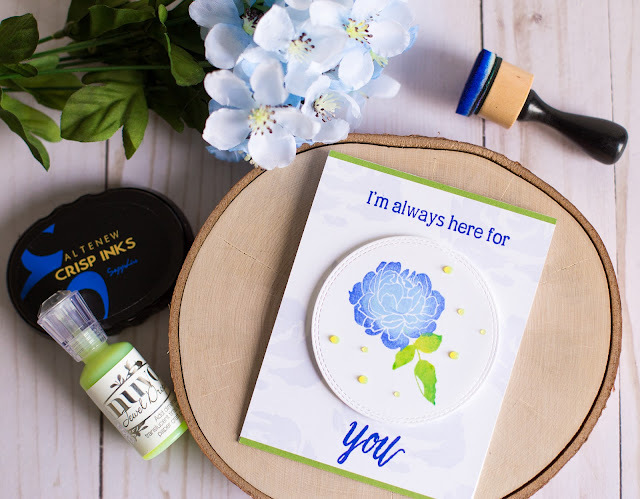 This week the Simon Says Stamp Wednesday Challenge is to Floral Frenzy using Altenew products! Fortunately I had a couple of Altenew products that I hadn't used in a while and a few that I had recently purchased too! I used the most detailed layer of the Painted Rose stamp set to create a very light background by repeatedly stamping it with Altenew Arctic Ink. 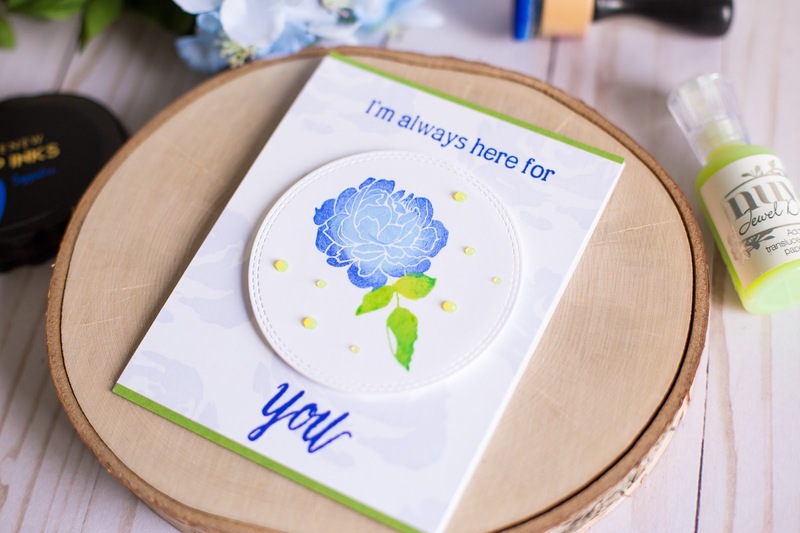 Then I created the central focus image by stamping the new With Sympathy flower using two medium colors of Altenew inks. If you're curious about any of the products I used, they will all be linked down below! Thanks for stopping by!